The reason Mr. Destructoid exists at all is because of the Electronic Entertainment Expo in the first place, so of course the green robot would be at the show! 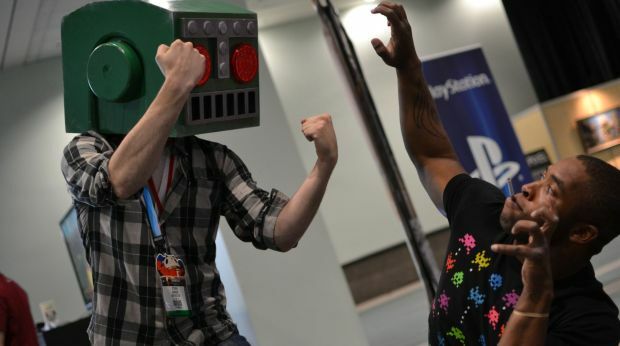 The photo gallery below shows Mr. Destructoid spending some quality time at the Sony booth, checking things out at the Microsoft booth, and wrapping up his day over at IndieCade where he played some Johann Sebastian Joust. Expect some video of that soon.